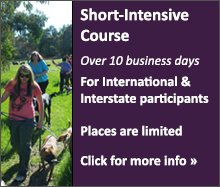 A proven and effective dog obedience training and Canine Good Behaviour Shaping system based on the practical language of reinforcements and rewards. At the time of writing I have been involved in professional dog training for well over twenty years. In late 1985 I became interested in guard dog training and on purchasing my first Rottweiler puppy decided to become a dog trainer in order to learn the craft in a more dedicated, if not professional manner. I have never been involved in competition dog training and have always had more of a focus on practical obedience training rather than the standardised approach to rigid and seemingly outdated routines that weren't of much use in common real life situations. Since 1996 I have been actively researching and developing (R&D) a dog training and behavioural modification system... with a real difference! This R&D has been the result of training many thousands of dogs through my Boarding School For Dogs business (one-on-one) and then taking them home again to their owners at the end of a training course. In Australia at that time I was the only dog trainer who actually took the dogs back to their home once they had finished their training as opposed to having the owners pick them up from the kennels where they had been trained. 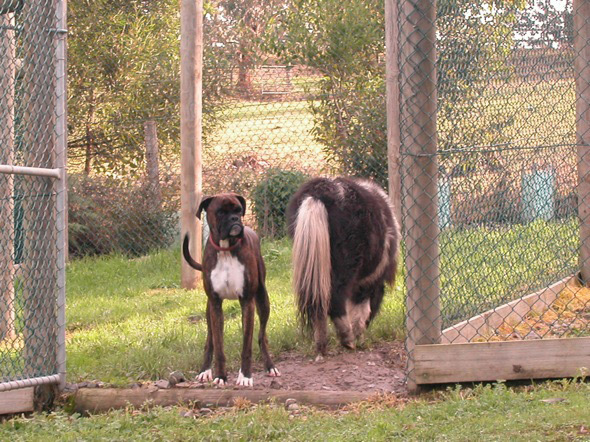 This allowed me to test the validity of my methods in situations that were far more realistic and challenging than the distractions available in the kennel environment. The owners who employed my service have ranged from singles and couples, to families with young children or older children, or both. 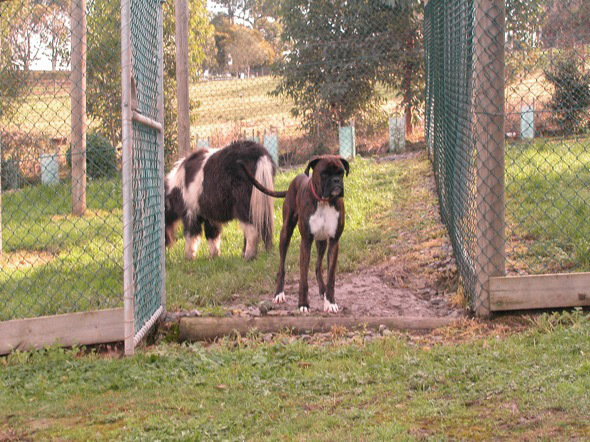 The dogs themselves have ranged from the very small to the rather large end of the spectrum, varying in breed and temperament in their own individual way with their own individual behavioural issues. Sometimes we have returned home after a course to find other dogs awaiting, as-well-as cats, pet birds, horses and rabbits (in all combinations). Their home or daily environments have been suburban houses, high-rise apartments, factories, workshops, warehouses, country homesteads and farms of small to large acreage. Within these variables I have been able to develop training and practice strategies that have continued to achieve exciting results for the owners no matter where they lived. Over the years I have been particularly interested in identifying the common canine behaviours that have been present in all these differing scenarios and then applying the knowledge and skills I gained into a set of effective guidelines that would work on any dog, in any situation. What started off as mainly an obedience focus quickly developed into a much broader approach to managing overall canine behaviour. It became quite clear very early on that obedience training was only the start of the rehabilitation process and that owners were often more concerned with the dog's behavioural issues as opposed to just having it sit or drop for them. Thankfully the obedience training (The "Pattern" Learning Training Method) was conducive to communicating the concepts of reinforcement and rewards within the behaviour modification strategies that I was developing at the time. In effect, the obedience training set clear precedence for both the owner and the dog as to how the concepts of contrast, reinforcement and rewards actually worked. It created a set of consistent processes that were relevant in both obedience and behavioural modification. With these common sense and effective processes in place, the identification of what I termed the "canine leadership challenges" was constantly in my thoughts. I was assessing every dog, every owner, every home environment and interpreting every situation to find the commonalities that I knew must exist. And then it started to become clear to me. 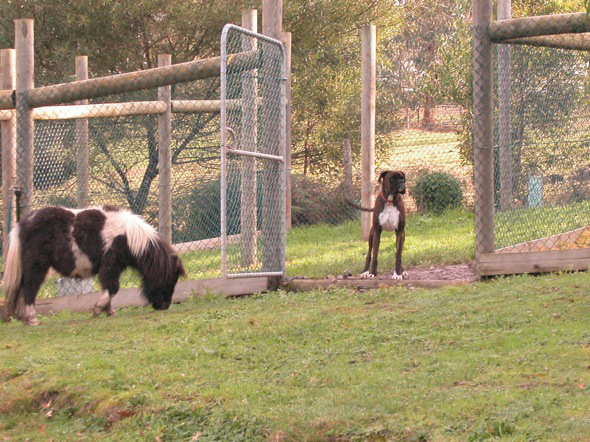 Regardless of the dog, the owner or the particular set of problems that affected their relationship (hyperactivity, barking, aggression - in any form, destructive chewing, timidity or dominant behaviour - etc), there was in fact a set of common leadership challenges that occurred in virtually all instances. This took years to determine mind you, but all the hard work started to bear some very exciting and consistent results! 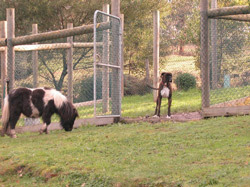 The techniques and strategies that have been developed to create what I call Canine Good Behaviour Shaping (CGBS), have now proven time-and-again that there is a definite set of challenges that if modified correctly, will bring dramatic and positive changes to the way dogs behave and carry themselves in their day-to-day interactions with the family. Canine Good Behaviour Shaping also promotes the very sound concept of "LEADERSHIP" and teaches the owners how to carry themselves calmly and confidently around their dogs without having to rely on the overbearing attitudes of dominance. "Leading" and dominating are two very different mind-sets, the former requiring sound understanding of the dog's behavioural patterns and communication requirements to be effective at managing and maintaining a great owner/dog relationship. By establishing clear and positive leadership we are then ready to apply the concepts of Alpha Canine Behavioural Rehabilitation (ACBR), if the dog has more serious issues affecting its general behaviour and sociability. With all my hands-on research It wasn't long at all before I found that many of the more serious and intense behaviours exhibited by dogs were not always as they seemed. With the owner's new leadership status it had become relatively easy to interrupt the dog's aggressive, anxious, fearful or over-excitable behavioural patterns and then shape a more acceptable response to their triggers. This could literally be demonstrated on the spot to achieve immediate and impressive results where the dog would actively choose to follows the owner's lead instead of over-reacting to common, day-to-day stimuli. So, within the Canine Leadership System there are three distinct, but complimentary disciplines: Canine Leadership Obedience, Canine "Good Behaviour" Shaping (CGBS) and Alpha Canine Behavioural Rehabilitation. It is my opinion that these areas of dog training cannot be separated as they combine to create an overall effect of clear canine communication that goes far beyond anything obedience or behavioural modification could ever achieve on their own. Working with so many different owners and dogs within their unique home environments has given me great insight as to how these three important training concepts compliment each other and produce such great results on a regular basis. 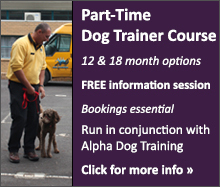 Everything outlined on this website and taught on Alpha Canine Professional courses is based on fact! The methods described work when applied correctly and are based on years of results gained from actually working with dogs and their owners, not just theorising about it all. When something hasn't worked it has stimulated a re-direction of efforts into the exploration of often new and very exciting ideas, rather than the simple acceptance that it was not meant to be. Because I haven't been shackled by the chapter and verse of psychology textbooks or the conventional thinking of why things can't be done a certain way, I've often found that with a different approach they actually can be done… and done well! The same can be said for not being involved with traditional methods of dog training. 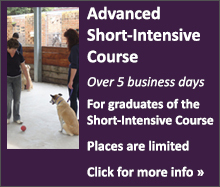 Being able to work laterally without constraint has enabled me to look for new and exciting ways of handling dogs and as a result, develop practical variations on many standard obedience exercises. To that end the Canine Leadership System is unique! 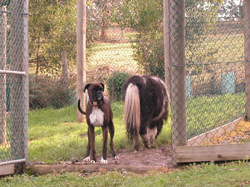 The dog above was performing a standard boundary setting exercise when along came a pony. This was not planned, but one of our trainers had a camera on hand to capture the action. "Good Boy" becomes the most powerful tool in your kit when the dog is taught through the modern, positive and progressive application of canine learning theory! Please take the time to watch the informative videos on all our websites to see exactly what our methods are capable of achieving for owners and their dogs.